We will be working on Tournament of Roses Parade Floats, with Fiesta Parade Floats. Yes, Our teams work on large scale movable Floral Designs. We can handle your Large Scale Wedding personalized to Your desires. No matter what the occasion, sending flowers is a beautiful and thoughtful way to show someone you care. 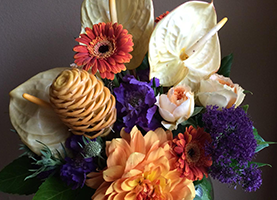 At W/E Flowers, we have been delivering customized floral arrangements to happy customers in the Ukiah, CA area for over 30 years. Our skilled florists create beautiful bouquets, elegant table arrangements, and other floral displays that are sure to make you smile. Even in our fast-paced world of email, cell phones, and social media, some of the most meaningful and thoughtful messages are still hand delivered. A floral arrangement can really show the recipient you care and that he or she was on your mind—it is a customized gift that just cannot be replicated. When you choose W/E Flowers as your florist, you can be sure that the freshest flowers available are used in your floral arrangement. We take pride in hand selecting only the best stems, ensuring that your arrangement is absolutely perfect. Our flowers are freshly cut and will stay beautiful long after delivery. 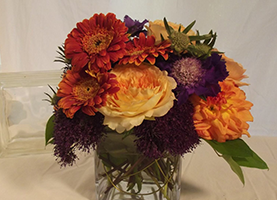 Custom orders are welcome here at W/E Flowers. No matter what flowers you have in mind for your floral arrangement, we will do our best to locate them and provide you with exactly what you envisioned. Making our customers happy is our number one goal, which is why many of our customers are repeat customers. No floral order is too big or too small for W/E Flowers. From hand delivering bouquets to local customers to working on floats at the Rose Parade, we have delivered gorgeous flowers to thousands of satisfied customers. 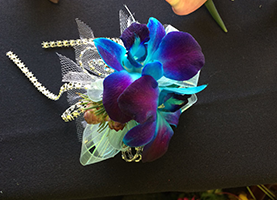 Get in touch with us today to find out more about our excellent floral services. Here at W/E Flowers, we love to make our customers happy!